Italy’s main drawing card = food! 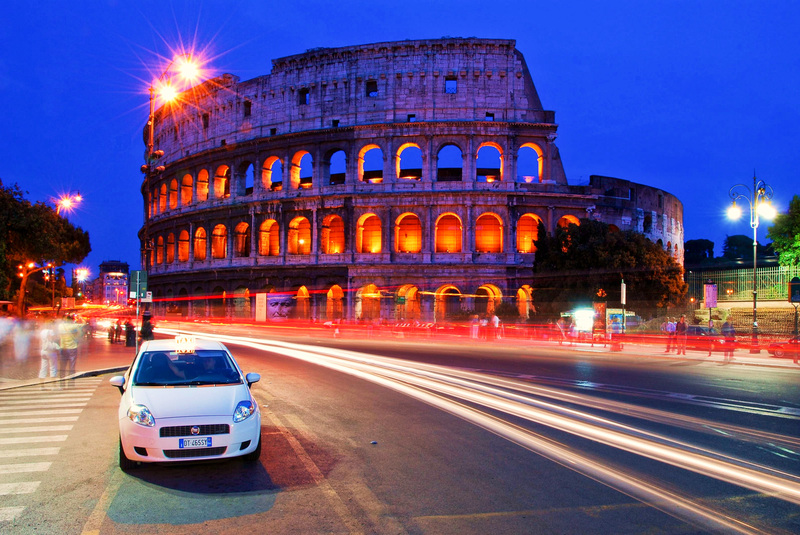 It would be difficult to find a European country richer in history than Italy. The impact of antiquity is seen in the hundreds of ancient tourist attractions and the magnificent architecture. A combination of the Italian language, art, wine and fashion woos many a visitor to falling in love with this extraordinary nation and its culture. It is Italy’s cuisine that has had the most far-reaching influence, however, and can be found and enjoyed in almost any country with open borders. Simply put, Italian food is loved the world over. Whether you are in Korea or Thailand, South Africa or Australia, England or Germany, you will find an Italian restaurant. If not, you’re certain to find Italian fusion at least. Everyone has their favourite dish, be it risotto, lasagne or tiramisu. Whatever it might be, there is nowhere it’ll taste better than in Italy itself. I found this out first-hand while on a bus tour with dozens of other young people. We spent a few days in beautiful Italy. I never wanted to leave. "There is nothing better than escaping the crowds and stopping for a gelato." First stop was Venice; the city with the most artistic masterpieces per square kilometre, the city built on water and bohemian-chic fashion. After a long morning of exploring the beautiful cobbled streets, bridges, canals, Piazza San Marco, museums and markets of this powerhouse city, my new friends and I looked for a spot of lunch. We crossed the heart of Venice, the Rialto Bridge (Ponte di Rialto), and found a little pizzeria where you could buy pizza by the slice. On our backpacker budgets, a slice was all we could afford. It was the biggest and most delicious piece of pizza any of us had ever tasted. If memory serves correctly, it had a ham and mushroom topping. A slice of the much-loved Margherita would have been just as good. So, this is what real pizza is meant to taste like, we all thought. It was in Rome that I discovered the best spaghetti alla carbonara at a little street-side restaurant near the majestic Colosseum. “A just-tossed plate of warm pasta, golden with an eggy sauce clinging to the strands, fragrant with freshly grated cheese, and studded here and there with glistening, rosy bits of cured pork: This is spaghetti allacarbonara,” says Carole Lilla on departures.com. I couldn’t have described it better myself. The must-visit art city of Rome claims carbonara as its own and after tasting the real deal, who would dare argue? There are many reasons I want to return there one day of which spaghetti allacarbonara is definitely one. "The best spaghetti allacarbonaraat can be found in a little street-side restaurant near the majestic Colosseum." 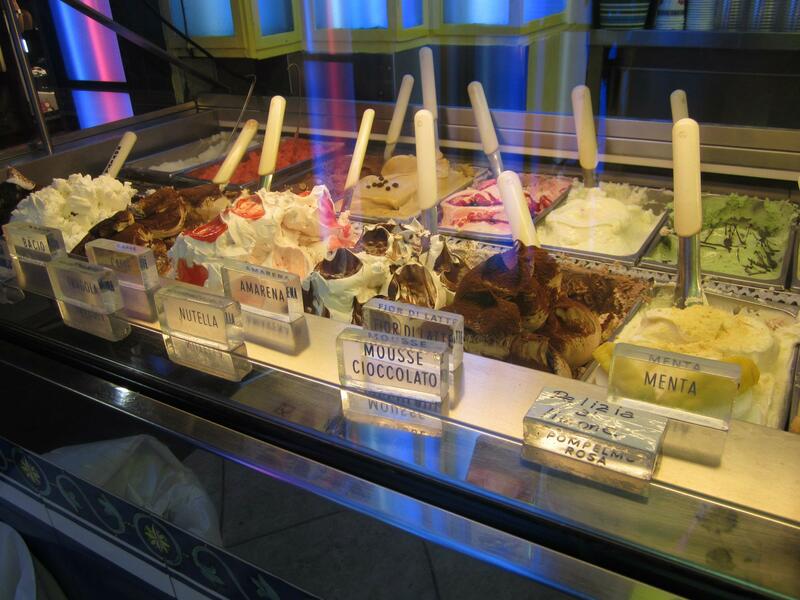 No matter the region or the season, there is one Italian food which never disappoints: gelato. After a full day of wandering the medieval streets of Florence, a surprisingly small but beautiful city packed with museums, churches and tourists, there is nothing better than escaping the crowds and stopping for a gelato. In my humble opinion, gelato is the denser and tastier version of ice cream. Because Florence’s must-see sights are all clustered within a few square kilometres, a gelato parlour should be relatively easy to find.